It's not every day you get to build a high end gaming machine and I have built many systems over the years, I've never done a Build Log so here goes my first. This is also my first build with a full custom loop. Let’s take a look at the hardware to build this system. 1. Corsair 900D Case.I'm not at all done with the case don't mind the pics so far their will be updated ones. 2. Asus Optical Drive (DVD) for movies sometimes. 3. Seasonic 1000W. Platinum PSU. 4. Samsung Evo 1TB SSD. 6. GTX760 SC 4GB only got this for testing my rig, When available I'll have 2 GTX780 ti classy. 8. Intel i7 4930K CPU. 9. G.SKILL Ripjaw Z 2133 MHz 16GB. 10.Custom single braid maxcord cable set ->colors are Blood Red, White ,Steel Blue. 11.Asus Rampage IV Black Edition, The most advanced enthusiast class MOBO built. 1. Phobya 250 matte black Reservoirs (2). 5. Alphacool Full Copper Radiator ST30 240mm. 6. Alphacool Full Copper Radiator ST30 480mm. 7. Alphacool Full Copper Radiator ST45 480mm. 11.Swiftech Heatsink for Dual Pump. 13.Koolance Liquid Coolant, White or Blood Red ?? Here's a few pics of the parts I have so far. I have my EK Chipset blocks ordered looks like their about 2 weeks out, Also my VGA's when I can get them i've looked on EVGA's site,Amazon,Newegg and no one has them. I'll be posting more pics soon..
That build is really heavy-weight class, keep it up abvolt! Looks like you're going to run two loops judging by the two large reservoirs. You say you are waiting for your blocks to arrive from EK but you show the CPU block in the 3rd photo. To find stock of your Classified search for the manufacture code: 03G-P4-2888-KR. Then you'll see the stock in the US, ie, Newegg, Amazon, NCIX, Tiger Direct. Plenty of stock from quickly checking. If you're mounting the SSD/HDD in the top 5.25" bay I'd buy an OWC Multi-Mount, link here (they sell them plenty places in US too). I use one for my HP Microserver for a couple HHDs, they aren't cheap but very good quality and better than anything else I found. For the dye I'd go with white, red clashed with the case tray, your cables already feature white. The orange fans do clash with the red tray, assuming your camera sensor isn't playing up with the colours. Individually spraying them isn't ideal. Sure you can take out the fan blades but it does affect the balance and performance when you reassemble them. Easiest thing to do is re-spray the case tray to match the fans or put up with how it is atm. Thanks for making your first build log on VC. Two 780 Tis is an insane configuration, especially for 1080p. Thank you guys, its funny not 4 weeks ago I could not find a 780 ti now all over the place but still not on the evga's site they cost less on their site maybe that's why. I have a question if one of you guys might know, I getting the EK waterblocks for my 780 ti classy's but I don't really like the look of their backplates + they cost too much I would like to know if the evga backplates would work with the EK blocks, evga's plates are half the cost & look great..
Hello , sorry for not being able to answer question , i still havent bought GPUs and blocks , but am sure smith will be able to answer this. I'm using custom single braid cables much easier to work with, I run my cables out the mobo case tray as low as I can go so there hidden behind the mobo and then back through the tray where I want them to be. I agree the stock cables are not very nice looking, But with good cable management even they will look good. The EVGA 780 Ti Classy backplates would work fine with EK 780 blocks. There's been nothing in my own research to indicate there would an issue, I've read in depth about a lot of other builds that used various other blocks and backplates and nothing caused me any concern. The only concern would be that if you have used a large CPU heatsink it would no longer fit. I would have preferred an EVGA backplate too but you simply can't get it in Europe, EKWB will suffice. Btw it's the same price for either EVGA or EKWB, £22. 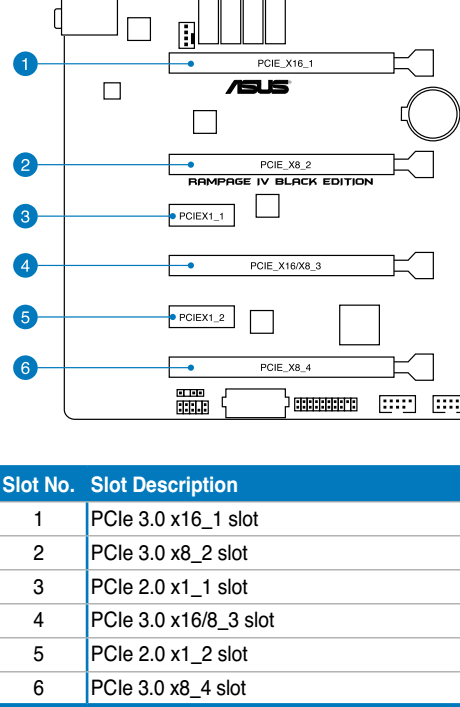 The manufacture code for EVGA 780 TI backplate is 100-BP-2888-B9 - link. And the instruction are there, putting the link here. Thanks for that info I'll get the evga plates..
Just got my EK chipset blocks in today these things are really nice. Here's the EK FC GTX 780 ti classy water blocks that company makes some really nice things very pleased..
Looks great abvolt My final 'to do' is to fit the block on 780 Ti Classified and my build will be done. Where's your EK bridge to set it off nicely and strengthen the GPU or do you have other plans? Not sure on the exact measurements to check alignment but have the link here and the install PDF here. Parallel options are on the right of main site. The R4BE requires for SLI you to use 1st and 3rd PCIe 3.0 X16 slot to help you avoid confusion in making sure you are operating at native speeds. I should have the ek fc terminal later in the week, thanks for the links very helpful..
was in my email one day and I ordered them, tested them in my new rig the R4BE/4930K and ran Unigine valley benchmark in extreme HD one card at a time the score was 3820 NO OC or sli with cpu, gpu. In my older rig R4F/3930K @ 4.9 with a gtx 690 oc'ed @ power target @ 100%, gpu offset @ +165, mem offset @ +660 this card in on air my score was 3929. So you can see the k|ngp|n cards really have awesome potential Can't wait to sli these cards & oc them under water of course. The new R4BE with 2 k|ngp|n editions cards well all I can say is Oh Yeah..
You are officially the owner of the fastest GPU configuration on our forums Time to change your 'primary card' info in the profile. I hope you will push them hard, because that's the whole point of purchasing Kingpin Edition, isn't it? I hope to oc them to the max only have a few more fitting to order and I'll be done. Thanks again I'll also change my gpu profile..
Will you be benchmarking your completed New Toy seeing as the KPE is build primarily for the like of HWbot suites of tests? Maybe join up (here) and give it several fun runs, it's what the pro's and enthusiasts use to compete and show their skills. You don't have to if you had other things in mind. I know I will be trying it out and won't be breaking any records, yours GPU-wise, has a lot going for it There are some tricks I picked up from UK's 8 Pack (he holds more recent records than KP) but the extra equipment needed is beyond what I'm prepared to do time and money wise and want to see how lucky I got with everything. Thanks I will be seeing just how far they will go. Only have a few more things to get and I'm done maybe 8 or so days..
Was wondering how you are doing, are you still awaiting more deliveries, etc? Well this is an update on my build so far, I haven't had much time to work on the rig for the past 2 weeks due to work. So yesterday (firday) I had time to install the ek-fc block to my vga's, and then I begain leak testing I noticed that the fc block was leaking so I removed the block and saw that I damaged one of the o-rings, of course no one in the town I live in has any 0-ring that size so today I ordered them from frozencpu they were out of stock and hopefully I'll have the part in 2 or 3 weeks hope this is not a sign of things to come. Talk about bad luck as you all know very well builds like this take a lot of time simply because of the cost of things. This is not a welcome delay, I can report that my swiftech mpc35x2 pump is really quiet. I'll post back when my leak test is complete no leaks I hope..
Oh sorry to hear that your block was leaking after inadvertently damaging it. Was it a bad leak? Not sure what you are referring to with the o-rings, perhaps you could clarify the section you used it on. If you mean the o-rings for the fittings its usually the fittings that takes care of that as you don't add any there. Not sure why mine came with two o-rings because I never had to use it but would love to know what they are for. Wasn't mentioned in the instructions at all to use it but the connector is the only place I can think it would have been needed. I use the EK-FC Terminal triple serial to connect my 2 water blocks together and the EK-FC terminal blank is used to cover the unused slot they are sealed with 6 o-rings, The o-ring that I damaged is one on the EK-FC Terminal blank which sets in the center. If you've got a second pair of hands to help that would make all the difference I don't have that so sometimes mistakes happen. I use just a little vaseline to hold the o-rings in place ( I have done this for many years in automotive air conditioning always oil your o-rings. A pc's cooling system is very much the same as your car's cooling system the only difference is size. ) If the o-rings falls out of place it will pinch between the terminal and the water block which in turn will damage the o-ring and cause a leak, not a fun thing to happen.. I just received an email my o-rings were shipped out today awesome hopefully this time next week things will be up & running..
We are waiting for updates!